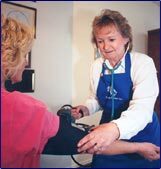 CareGivers Home Health Care provides professional in-home personal care, companionship services and professional palliative care services that allow our clients to remain living in their own homes. Statistics show that seniors who remain in their own homes extend their livelihoods because of the comfort, confidence, and familiarity this affords them. A complete staff of Registered Nurses, Licensed Practical Nurses, Health Care Aides, Therapeutic Companions, Homemakers and live-in attendants are available for a minimum of 2 hrs to 24-hour care. We offer flexible or regularly scheduled hours as well as emergency services that may be required by our clients. Our staff is able to access medical staff on a 24 hour 7 day a week basis in the event of an emergency. This added service ensures that patients are cared for by the expertise that they deserve.